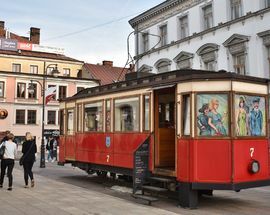 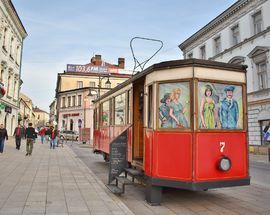 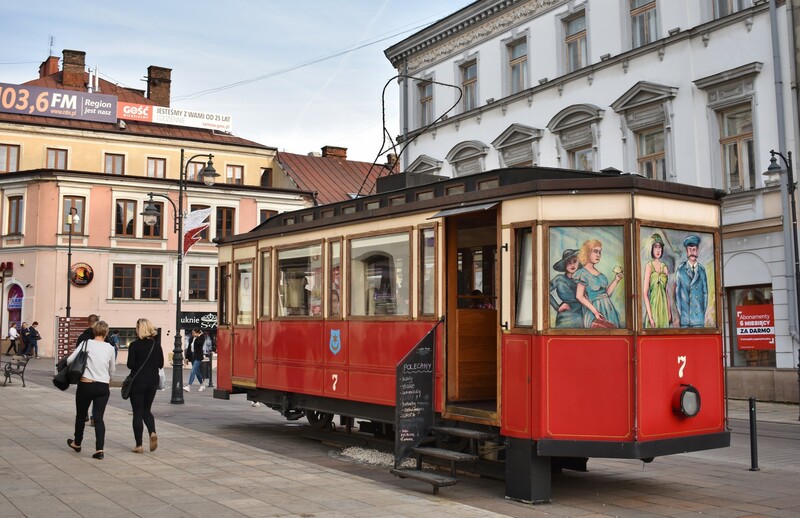 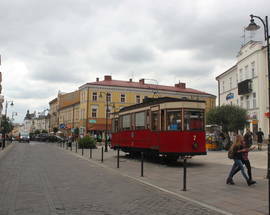 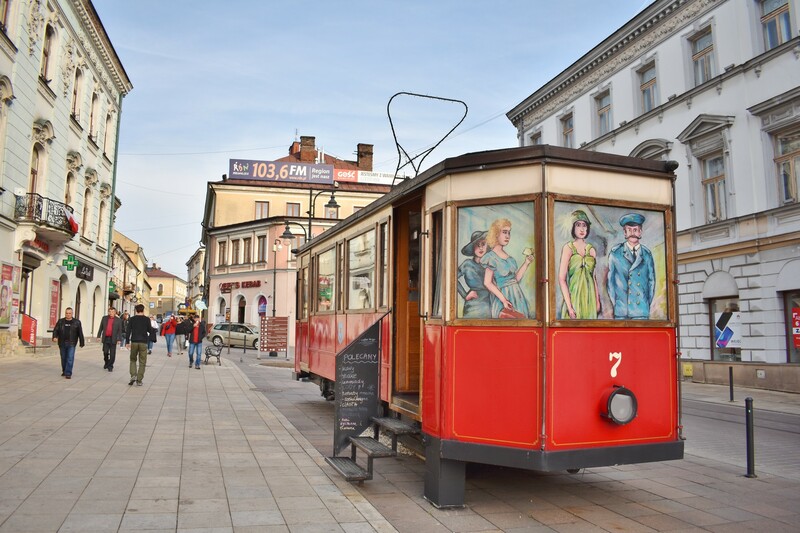 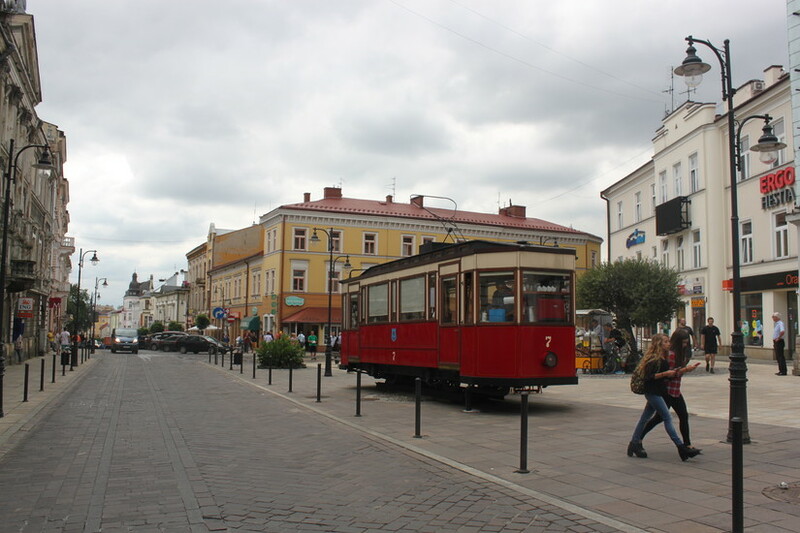 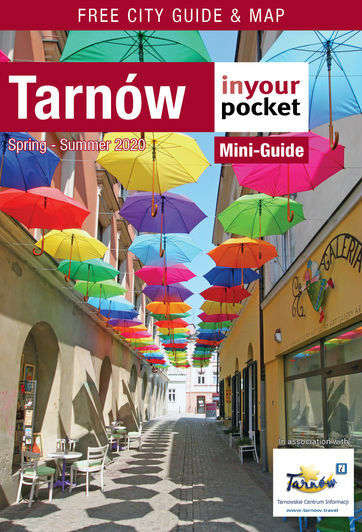 It's been over 70 years since streetcars graced the streets of Tarnów, but this antique tram parked on Plac Sobieskiego takes tourists and locals back in time to Tarnów's golden era, when electrified public transport was a symbol of the city's stature. 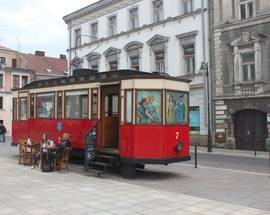 Capturing the spirit of the old days (the good ones, mind you), this wood-trimmed, authentically furnished tram car full of sepia postcards and inter-war souvenirs is the perfect place to meet for coffee, a slice of cake and a conversation. 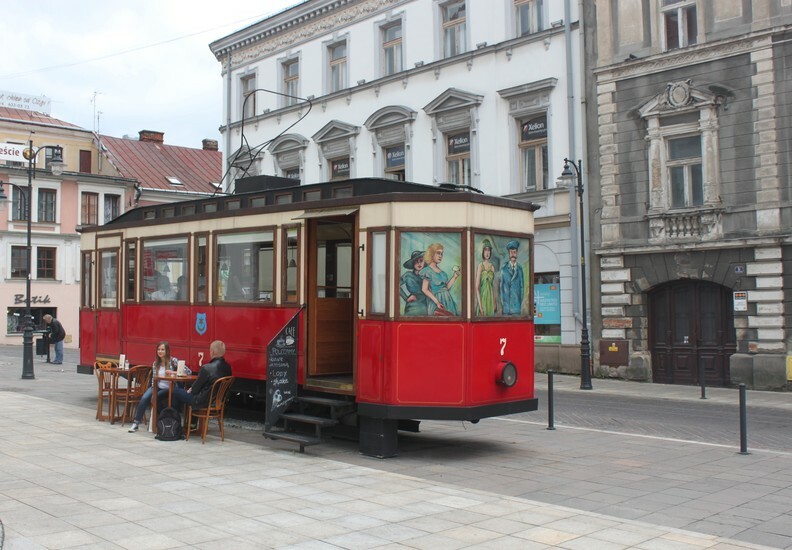 There's ice cream, cakes and shakes, a mini-library with books on the region, and it's also a free wifi hotspot with outlets under every table - something which is hardly taken for granted in this town. 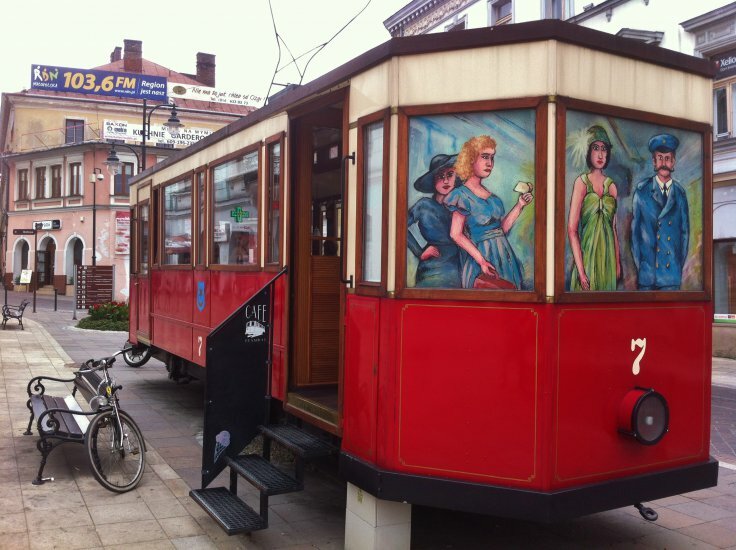 If you can score one of the limited number of tables, you'll be happy you did. Open 06:30 - 21:00, Sat 08:00 - 21:00, Sun 10:00 - 21:00.